Children today are often more distracted than children were in the past, which is likely a result of having a wide variety of mentally and visually stimulating technological gadgets available; iPhones, computers, handheld games and so on. Before, children played outside, explored nature with friends, took their dogs on walks and socialized before it was time to come in for dinner. When understanding what contributes to raising a healthy child in these changing times, psychologists at Harvard University have found five key elements to raising caring children. The reason behind this is that children learn how to care for and respect others when they themselves are cared for and treated with respect. When children feel loved by their parents, they develop strong bonds and feelings of attachment to them. This attachment makes them more open and receptive to their parent’s teachings and also to their parent’s values. While it can be easier to give a child a toy or a game console to keep them busy, and which is not necessarily a bad thing, it’s important to remember that spending quality time with children is one of the most important factors in raising a caring child. Showing love and nurturing their physical and emotional needs, encouraging and honoring their achievements, and taking a genuine interest in their lives are all ways which will wonderfully communicate the love to them that they need from you. 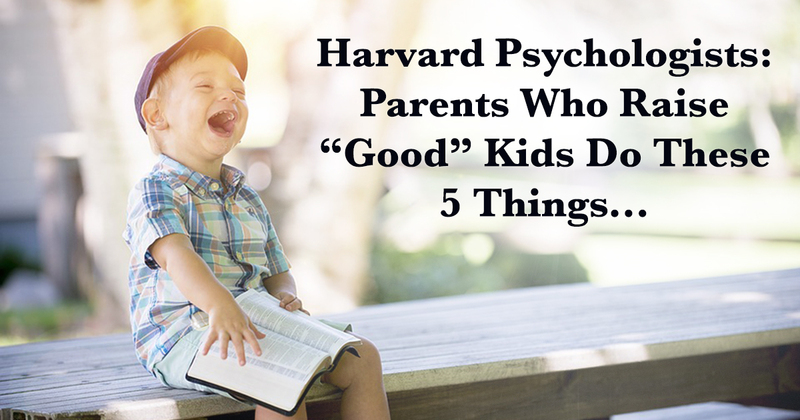 It’s true; children learn from our behavior much more than they learn from what we tell them. We can’t yell at and spank our children in one instance, and expect them to be kind and non-violent when dealing with others at school. If we want to raise caring children, we must first model our own behaviors of kindness, compassion and love towards them, and then they will be given what they need to understand and to succeed. It’s important to practice honesty, fairness and gentleness in front of our children, and to model the skills of managing anger and peacefully and non-violently solving conflicts. Humility is also a wonderful quality to teach; where we acknowledge our own mistakes and work on them constructively. When we are honest, loving, and keep our personal integrity by doing what we say in front of our children, they will begin to trust us, and after there is trust, children often want to follow our behavior. Children need to be encouraged to do the right thing even when it isn’t easy, to follow through on what they say they will do, and to keep a kind and respectful attitude even when other children are not behaving in such a way. By maintaining your own inner calm and being kind, understanding, and firm when dealing with your child’s temper tantrums, you set a wonderful example for your children that they will potentially model after you for the rest of their lives; helping to keep themselves calm when dealing with stressful situations and/or stressful people. Try giving children some weekly household duties, appreciate their efforts and praise their uncommon acts of kindness. Practice gratitude with your children, either in the mornings, at dinner, or any time that you see fit. Developing an attitude of gratitude will help your children become happy adults who lead happy lives. It’s natural for children to love and care for those closest to them; their family and friends, but researchers recommend to help and encourage child to think about those who need their love who are outside of this small circle. Maybe there is a child at school who doesn’t have any friends, who might be bullied, or who has trouble speaking English, and whom your child could help by talking to them more. Researchers also recommend that as our world is becoming more connected and global, it’s important for children to develop concern and compassion for people who live in other cultures and communities. Raising a caring and compassionate child is no doubt a lot of hard, yet rewarding work, but it’s something that all of us can do. By doing so, we not only are truly caring for and supporting our beloved children, but we are ensuring that they will also help to make the world a kinder and gentler place.